Indigenous peoples living in Guatemala bear the brunt of a health care system in crisis. Health care gaps are painfully evident in maternal and child health, as Indigenous women are twice more likely to die during childbirth than non-Indigenous women. Indigenous babies, under one year of age, are two-thirds more likely to die than non-Indigenous children. In Totonicapán, a predominantly Indigenous Maya K’iche’ department with some of the highest maternal and child mortality rates in the country, community health centres are severely understocked. When seeking care, patients are often forced to bring their own medication as a result of acute scarcities in the healthcare sector. Unfortunately, this situation is made worse by the economic and social marginalization of Indigenous peoples in Guatemalan society. 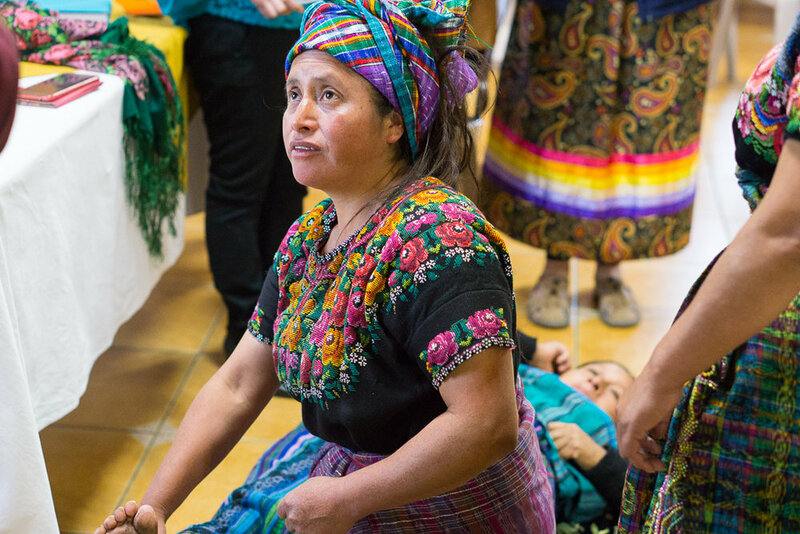 We aim to upgrade the valuable expertise of traditional Indigenous midwives in Totonicapán by providing comprehensive, culturally-relevant training. PIES health educators promote maternal and child health by conducting household visits and facilitating women’s discussion groups – in the Maya K’iche’ language". Moreover, thanks to the generous contributions of our donors in Canada, we have been successful in stocking Guatemalan health centres and health posts with essential, life-saving equipment and supplies. +9,000 household visits and +180 women’s discussion groups have contributed to +30,000 women learning about MNCH best practices and prevention of maternal and child deaths. +30 traditional Indigenous Maya K’iche’ midwives completed a year-long, culturally-relevant training. The midwives that participated in the training will in turn train 25 other midwives, training a total of +950 midwives. +20,000 women and children received culturally-accepted nutritional supplements such as Incaparina. 90 Totonicapán Ministry of Health personnel and 300 Guatemalan medical and nursing students are training in providing culturally-sensitive health care. Successfully purchasing necessary medication, medical equipment and Incaparina. Carmen Floridalma Oxlaj, Indigenous Maya K'iche mother of six. Carmen's life, and the life of her baby, was saved after PIES health educators went over warning signs of a high-risk pregnancy with her. Maria Xuloj, one of the traditional, Indigenous midwives being trained through the Maternal, Newborn, and Child-Health project in Totonicapán, Guatemala performing a birthing simulation on a fellow midwife.